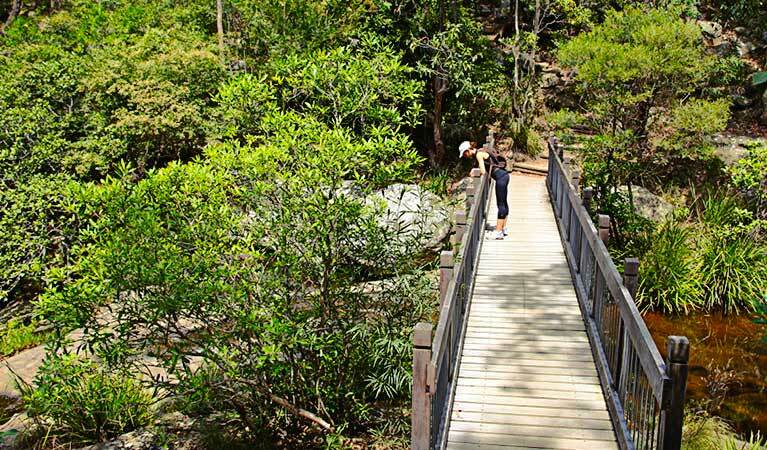 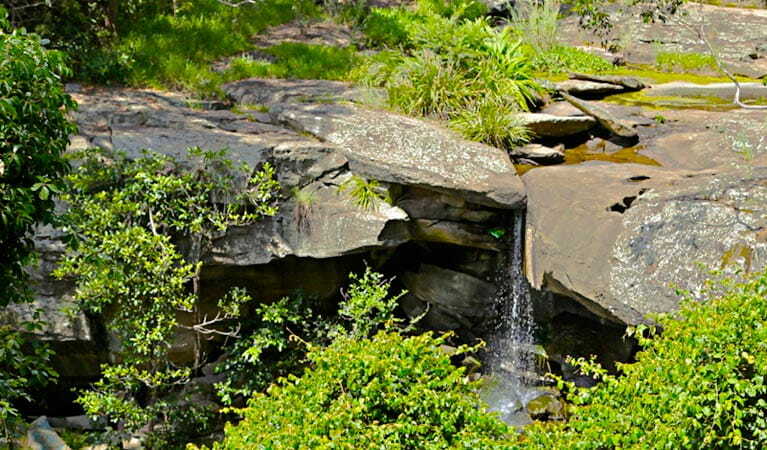 Part of the Great North walk that stretches 250km from Newcastle to Sydney, the Yuelarbah walking track is one of the highlights of Glenrock State Conservation Area. 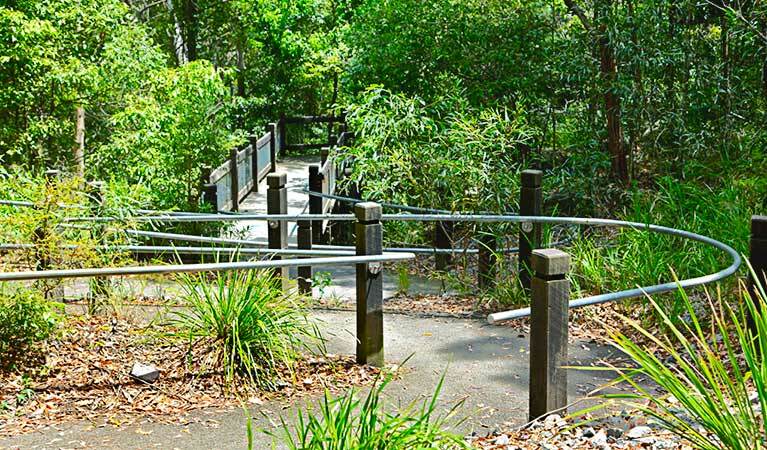 Commencing at the wheelchair accessible raised boardwalk, the scenic track leads you along Flaggy Creek, through wet gullies and coastal rainforest, and if that's not enough, you'll pass two waterfalls before finishing at Glenrock Beach. 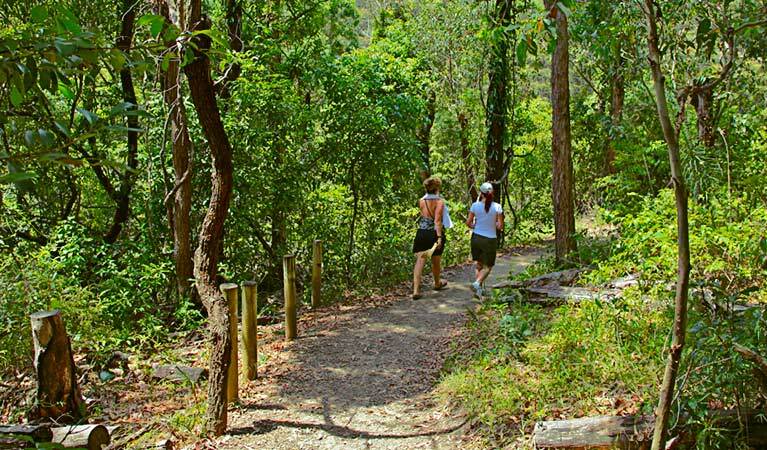 About halfway along you’ll find Leichhardt’s lookout which offers excellent views over Glenrock Lagoon. 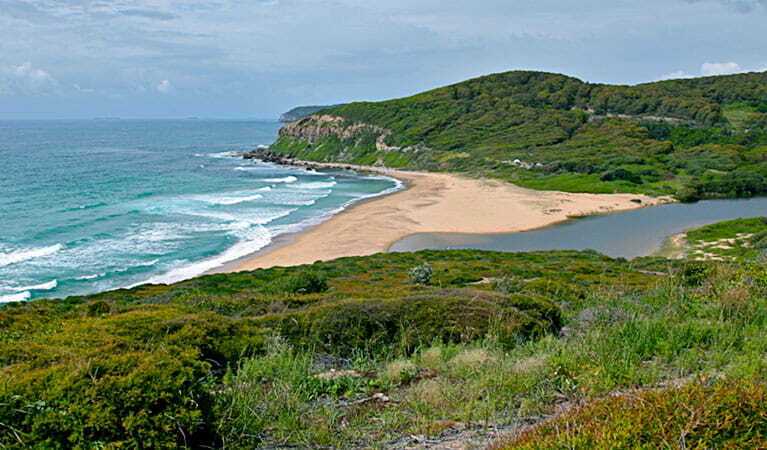 It’s a great option for a day walk, and be sure you take a picnic lunch with you; there are a few great spots to stop for a break along the walk, including the picnic area at Flaggy Creek and the beach or headlands of Glenrock Beach. 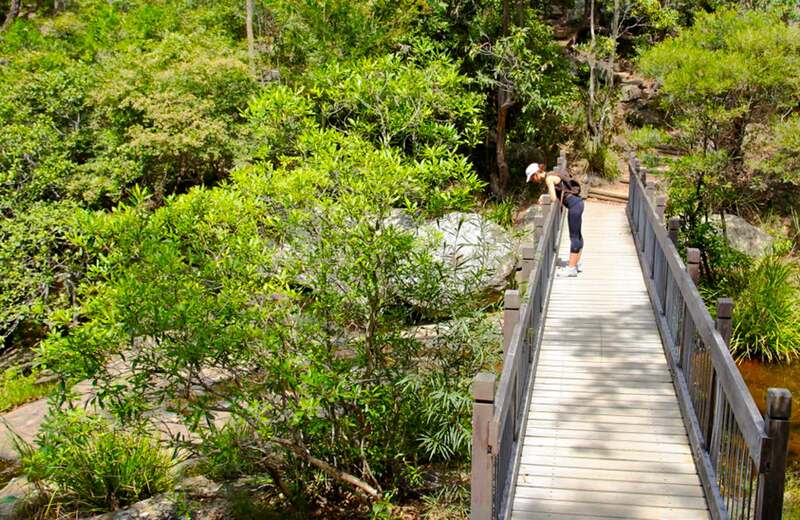 Take a virtual tour of Yuelarbah walking track trail captured with Google Street View Trekker.